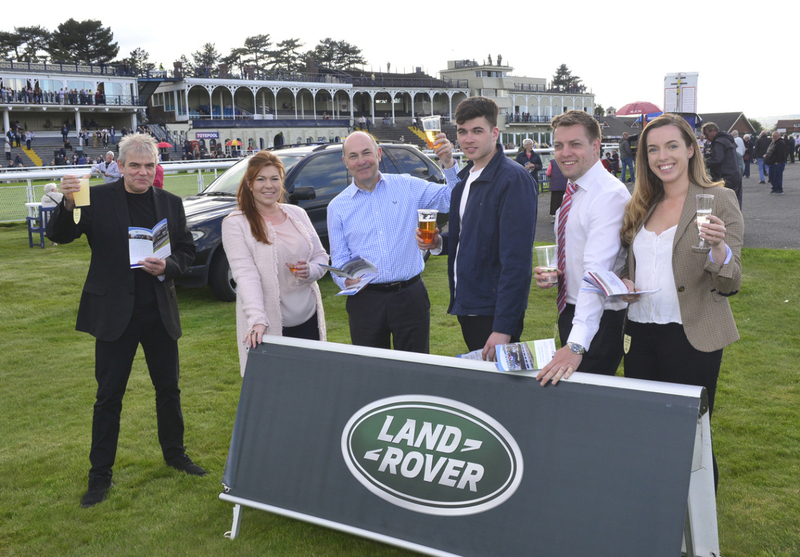 A day at the races was odds on favourite with staff of Shukers Land Rover in Ludlow, who were treated to a social evening to celebrate success in a national competition. The Parys Road Land Rover centre came second out of 118 dealerships throughout the UK in the Land Rover National Retailer of the Year Awards for 2017. Managing director, Joe Barney, said: “The award is for customer service together with performance in sales, after sales, parts and servicing, so the whole team has contributed to gaining this prestigious accolade. “We have been involved with Ludlow Racecourse for many years, so it was fitting that we set up a display stand and hospitality area and brought staff and their partners to the local meeting to have a flutter, a few drinks and supper, as a thank you to celebrate this great achievement.